Wolves on the hunt on the Eastern Front! The Wolf Truce Event begins! Do you hear that howling in the woods? 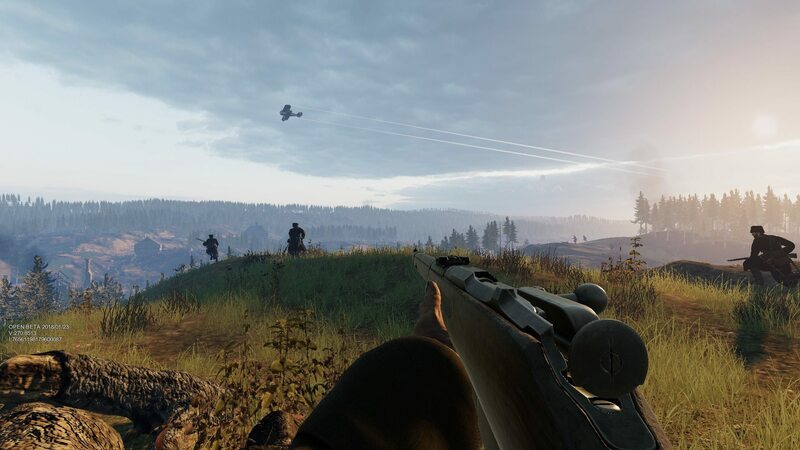 If you've been keeping an eye on our social media this won't come as a complete surprise, but aggressive wolf packs will be making their way into Tannenberg for the duration of this special event! 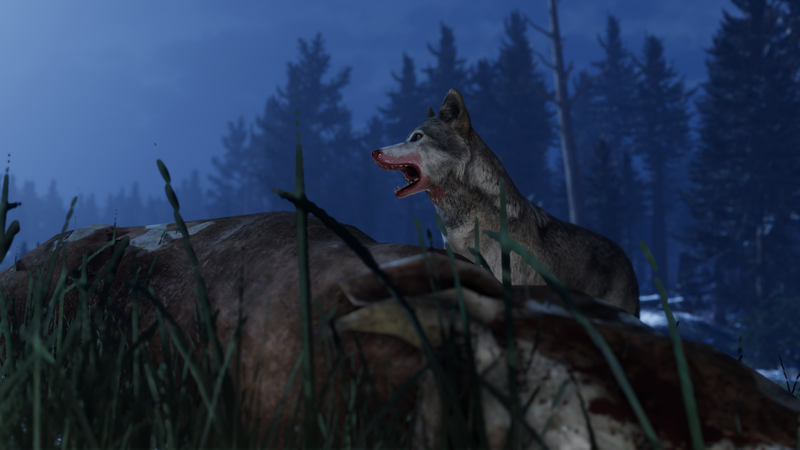 From today until April 21 you should keep an eye out for wolves encroaching on the battlefield. Forced by hunger to seek human prey, packs of wolves are dangerous predators. Over the weekend canine interlopers will appear in any battle, and after that they will only appear on winter maps until the end of the event. 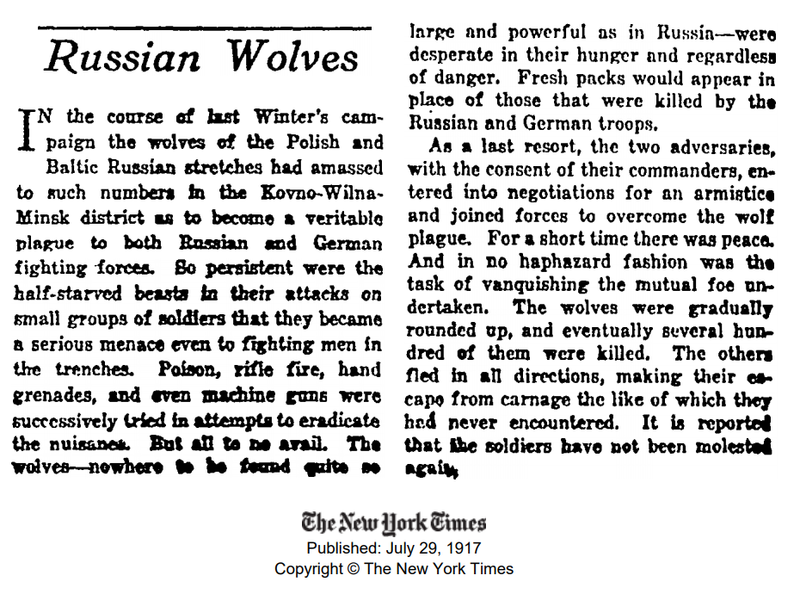 'Wolf Truces' were described by various books and newspapers, with Eastern Front combatants sometimes calling temporary ceasefires to deal with particularly aggressive groups of wolves. For instance this article from the New York Times. While some details are likely exaggerated, it speaks to the real threat wolves could pose. Earn a special Wolf Truce medal! 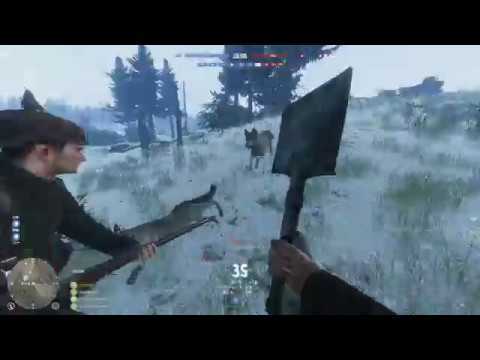 You will be able to earn a special Wolf Truce medal if you can survive a wolf attack without killing or injuring anyone on the opposing team. The game will not enforce any truce, though it will tell you when a wolf attack begins, and exactly when you will need to cease fire in order to earn the medal. Over the weekend, there will be one wolf attack event in every battle. After that, there will be one wolf attack event in every battle on a winter map. There will be a minute of warning before the suggested truce period starts (which you will need to respect if you want to earn the medal). Finally, a timer will indicate how long wolves will continue to be attacking. Maintain the truce until that timer ends to earn the medal! You can also see whether or not the truce has already been broken. Get Tannenberg in a Daily Deal! Tannenberg will be on sale for 60% off this Saturday 13th! Players can now report others for cheating / toxic behaviour in-game, and add them to a personal ban list. 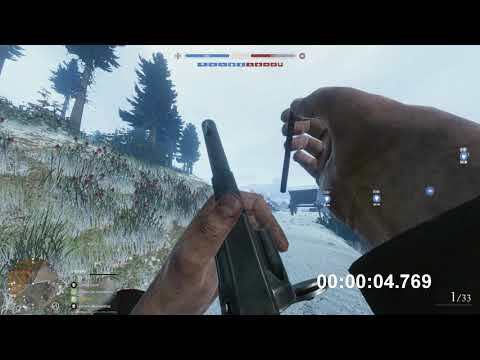 Fixed third person choke animation not playing after dying by gas. Now when you try to join a full squad, instead of attempting to load, no action is taken. Front selection can now be done via a sub-panel in the main menu, instead of an overlaid menu. Replaced Private Match banner button with Custom Match game mode button. Added LOW/MED/HIGH server population indicators. Will also display ping if we have pinged this session. Fixed bots not dying from gas. Bots will take of their gas mask after exiting gas. Fixed issue where bots would still know where their target is if it went hidden by smoke/gas after acquiring the target. The first target acquisition was already never possible through smoke/gas. Fixed bots sometimes not spawning. Check out the full changelog! 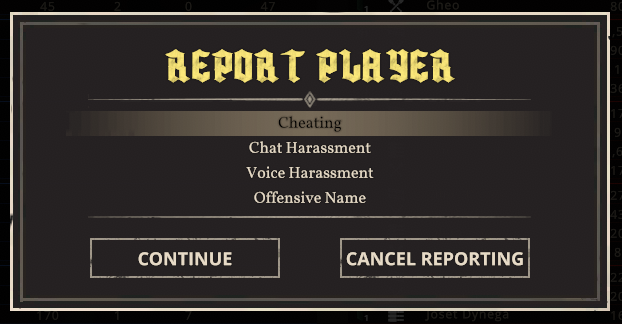 There is also a new report function which will allow players to report others for cheating, chat harassment, voice harassment and offensive names. Data is gathered from the match, processed, and passed on to administrators who may then take manual action based on multiple reports. Note that we will not apply automatic bans based on reports. Join the Wolf Truce now! FRONTLINE NEWS: New Weapon Announced for Tannenberg! Smoke transfer - blow smoke in the faces of your enemies to addict them to cigarettes. Watch out for friendly fire! Nicotine meter - when addicted, if you don’t smoke every 46.4 seconds, you will begin to suffer suppression effects. These will increase until at three minutes your screen will be entirely blurred and shaking wildly. Cigar class perk - some classes will gain a cigar perk. Cigars suppress your smoking requirement for 80 seconds, and create a double sized smoke cloud which travels twice as far. You can hand out cigars to your allies. Three on a match - every third player who lights up will have all enemy players instantly gain auto-aim on their head. Gas resistance - if you can smoke 20,000 cigarettes, you will become immune to poison gas. Social bonus - If you and an enemy happen to light up at the same time while within 1 meter, you will becomes friends, and count as being on the same team for purposes of friendly fire. Kick the habit - survive 24 hours in-game without smoking, and you will no longer be addicted. Как стать командиром отряда? О типах отрядов. О том, как ими командовать, чтобы быть полезным для команды. What are the differences between squads. How to be an effective squad leader useful for your team. Cossacks squad icon (with corrections) vs the badge it's based on. 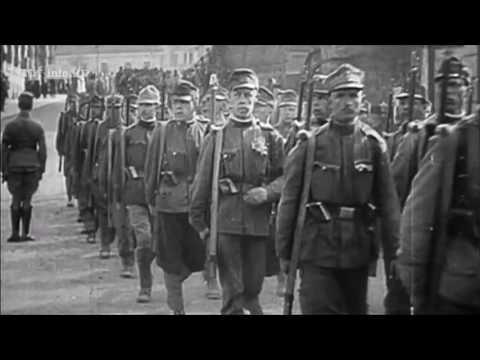 List of the squads and their weapon loadouts in Tannenberg. How exactly does resupplying MGs work? I've been trying to get more ammo for Machine guns but can't seem to figure out how. Can someone please explain this? 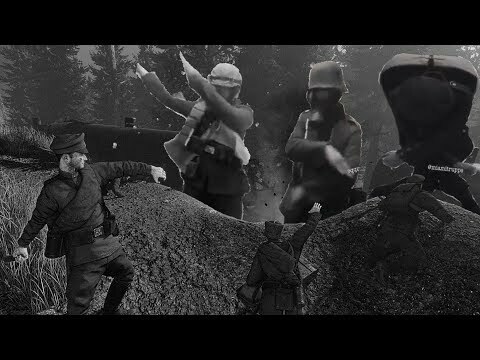 FRONTLINE NEWS: Battles of the Eastern Front! Assaulting a trench following a gas barrage by player M@sterMasco. 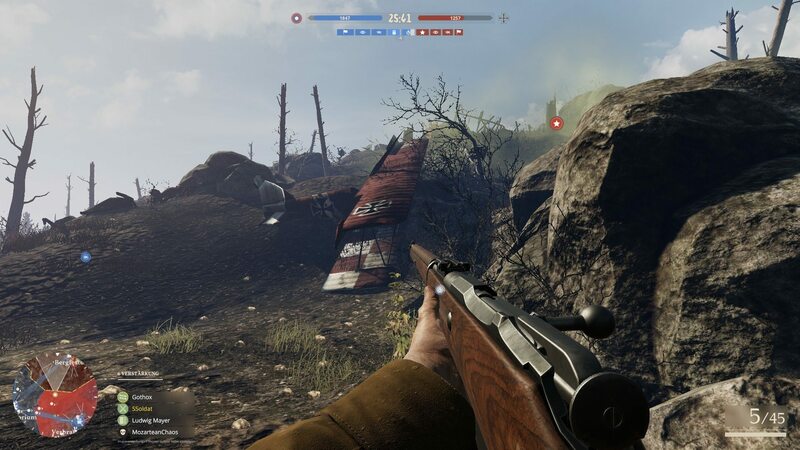 An offensive towards the church on the Carpathians, by player Anonim K.
Taking cover for a moment, by player Ssoldat. We hope to have more to share with you all soon! I asked if the lobby wanted to go for the wolf truce medal but in return, a few players called me the n-word and a SJW for wanting to get that medal. The anonymity of the internet truly does bring out the worse in people.